Brussels bomb disposal units are examining a car carrying gas canisters, according to local reports, while one person has been taken in for questioning by Belgian police. 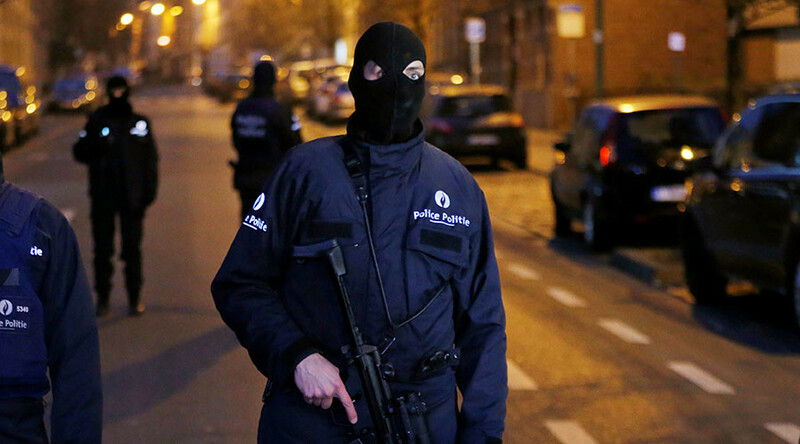 Police sealed off the area of Saint-Gilles and evacuated some residents on Thursday while experts examine the scene, a police spokeswoman told Belgian media, as cited by Reuters. The car was intercepted by police at Porte de Hal after it ran through several red lights. The vehicle contained two gas cylinders and the driver was on a list of people suspected of having links to radical organizations, the Mayor of Saint-Gilles Charles Piqué is quoted on Nieuwsblad. Broadcaster RTL said three canisters had been recovered. Nearby shops and the Porte de Hall subway station were also closed as a result of the investigation. Road closures have also been made and heavy traffic on certain routes has been reported as a result. Par ordre de police; le bd de Waterloo est fermé au trafic ahd la Porte de Hal. Gros embarras de circulation. A Reuters journalist at the scene heard a blast about an hour after the incident was reported. It has not been established if this was a controlled explosion by the bomb squad. Brussels is on a level-3 alert, the second highest on the scale, over the terrorist threat to the Belgian capital. In March 2016, 32 people were killed in a series of attacks on Brussels’ Zavantem Airport and a metro station.